Alternatively, double click the specific user in agent list. 1. Click the drop-down menu to select Enabled or Disabled the alert by type. 2. Click the "Disable All" or "Enable All" button to mass update. Tick each deploy rule to deploy the settings. 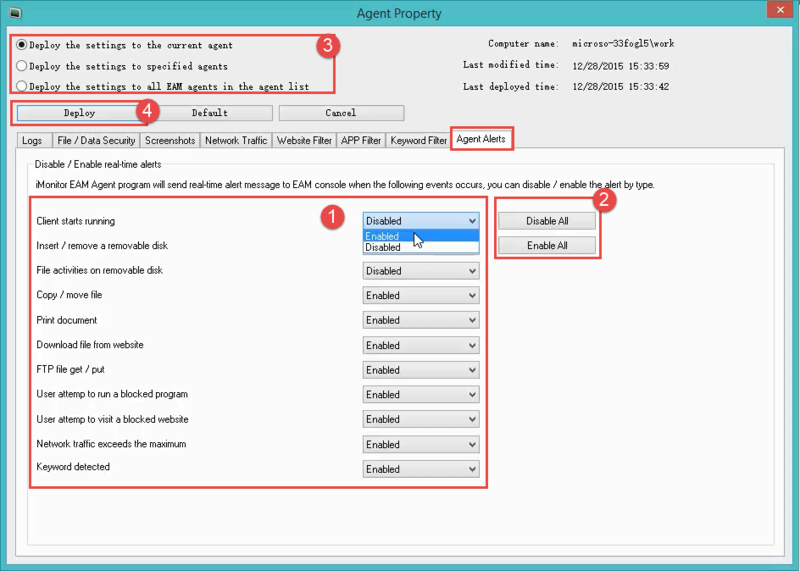 Tick Deploy the settings to the current agent / Deploy the settings to specified agents / Deploy the settings to all EAM agents in the agent list. 4. Click the "Deploy" button to finish the deployment.